If you burp excessively, you have aerophagia to thank. That's the medical term for swallowing air, and it's the major cause of burping. "The Doctor's Book of Home Remedies" says that between the air you swallow and produce naturally, you can end up with almost 10 cupfuls inside you, nine more than you can carry. Belching, or eructation, is your body's way of venting the excess. You can control the amount of air you swallow and reduce embarrassing burps. Reduce unnecessary swallowing, which causes you to swallow air as well as saliva. "You can swallow up to 5 ounces of air every time you swallow," says Dr. Andre Dubois, a gastroenterologist in Bethesda, Maryland. Be aware of the times when nervousness causes you to swallow excessively; for some people, this can become compulsive behavior. Dubois suggests you solicit the help of family and friends, who can point out your excessive swallowing even when you're unaware of it. Eat slowly and deliberately, chewing food completely before swallowing and keeping your mouth closed while you chew. This is probably the single most important thing you can do to reduce burping. Don't carry on conversations while chewing; this is another way you can inadvertently swallow air. Banish straws in your beverages; these convey air--along with liquid--into your mouth. Drinking directly from cans and bottles is also taboo. Use a glass, and take small, slow, careful sips. Decrease your consumption of gassy foods. According to Home Remedies For You, these include milk, beans, lentils, cabbage, onions, prunes and chocolate. Other foods to avoid are those that naturally contain large amounts of air, such as mousses, souffles and whipped cream. Drink chamomile tea--slowly--after meals. According to the Eclectic Physician, chamomile has gas-reducing, properties. Other herbal teas that may alleviate burping include raspberry and mint. Check with your doctor before using herbal teas; herbs can have side effects and interfere with prescription medications. Don't drink chamomile tea if you are allergic to daisies, ragweed, chrysanthemums or marigold. Wear loose, comfortable clothing. Clothes that are confining or restricting, especially at the waist, may cause feelings of abdominal discomfort that can trigger burps. Take an over-the-counter antacid containing simethicone if belching persists in spite of your efforts. According to Dr. Samuel Klein, assistant professor of gastroenterology and human nutrition at the University of Texas Medical School at Galveston, simethicone can break large gas bubbles into smaller ones, decreasing belching. Drink water, juices and tea instead of soda and beer. 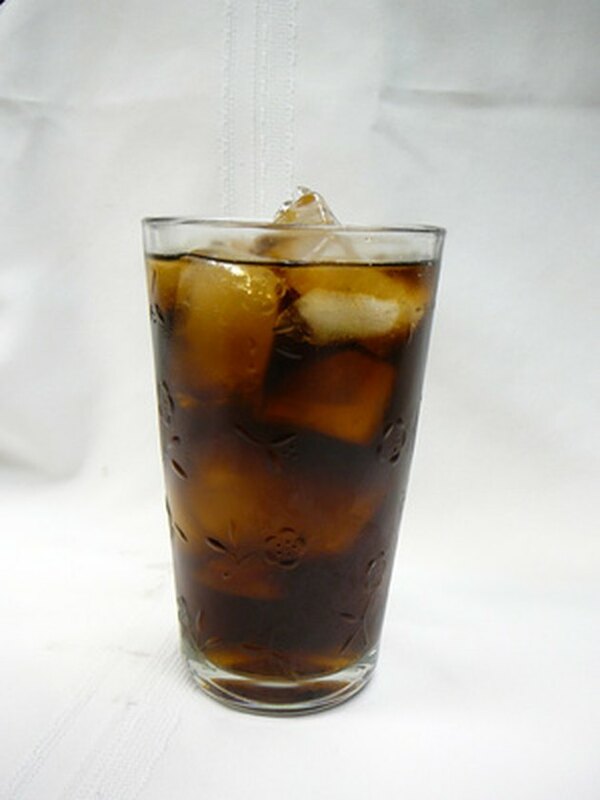 Avoiding carbonated beverages can help reduce belching. If your efforts to control excessive burping should fail, you may want to simply accept your belches as inevitable, and probably even healthy. Many physicians consider belching a natural body function, and see no reason to suppress it. Why Do We Burp After Drinking Soda?